The Eye-Witness: Spadaro: Clever, or just another toadying mouthpiece ? Spadaro: Clever, or just another toadying mouthpiece ? CreepWatch: Why do all these Vatican villains look like clones of Rembert Weakland ?? The hoopla over the Antonio Spadaro, SJ article about American perceptions of religion and politics has me scratching my head. I'm trying to figure out whether or not he is being clever in his observations or merely writing with very little knowledge (certainly a not surprising reality among Vatican big mouths these awful days). 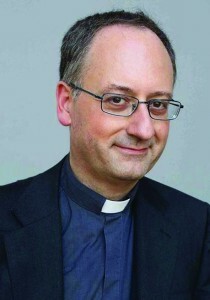 My advice is to treat the infamous Spadaro screed with the derision and laughter it deserves and resist the attempt to defend what he calls US "fundamentalism". He's a cagey little character and knows which buttons to push to get the reactions he wants.